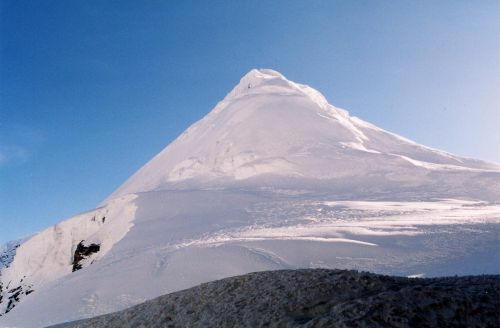 Trip Overview This peak lies south of the Tesi Lapcha and, when seen from the pass the mountain is really attractive. It is a straightforward snow peak first climbed in 1955 along a well defined north-by-northwest ridge rising from a relatively flat, but crevassed, glacier that is still the main route to the summit. The Rolwaling valley is the main access to Parchamo, We climb north-east of the icefall of Tesi Lapcha, setting up a high camp just below rock walls at 5,500m. From this camp we gain the ridge of Pachermo, following it without much difficulty - but watching for crevasses which can cause problems near the summit.